Fairhaven is an attractive town built in a picturesque setting in Bristol County, Massachusetts. 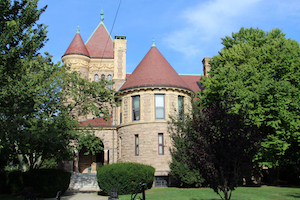 Most visitors and locals characterize Fairhaven as a small town with a long history, and it surely is a place that will fascinate history buffs. It carries a rich heritage dating back to the days of Pilgrims. Fairhaven locals played a crucial role during the American Revolution Naval battles, and later on, during the 1800s, the town turned into a thriving whaling port. Nowadays, is a charming and very welcoming coastal town with impressively beautiful historic buildings that will turn your stay into a relaxing and joyful experience. Except for the romantic walks and sunsets on the beach, the mouthwatering local cuisine (more than 50 restaurants await to excite your palate), and the friendly atmosphere, Fairhaven has many attractions worth visiting. 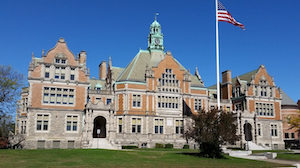 A few of the top Fairhaven points of interest include the Buzzards Bay public beach, Fort Phoenix, the beautiful castle-like building that houses the Millicent Library, Unitarian Memorial Church, etc. Regarding budget accommodation, there are more than a 100 and nearby Fairhaven with the prices per room per night starting from as low as $45.